Took this yesterday while Kaylea and I were out looking for eagles, enjoy! I’ll have to echo Clicksey on this one. My first thought when I saw this was also…Wow! Great shot David! I love it when you can get above the clouds or fog like this, it’s such an interesting perspective. I agree, I love how it envelopes the mountain side! Very nice! I love it when the clouds swarm around the mountains that way! Beautiful shot ! 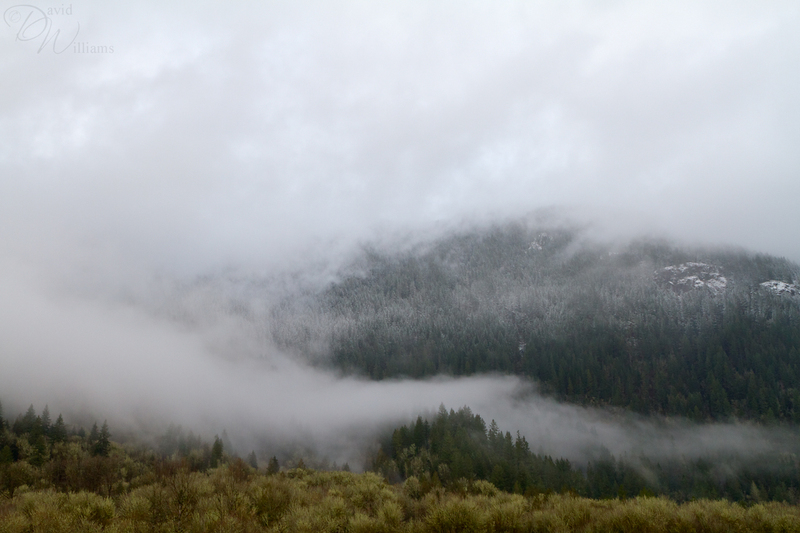 I know what you mean, I really like it when clouds (heck, even fog) wraps around mountains (okay, pretty much anything)! Thank you for stopping by as well as your comment!